On Jan. 23, President of India Ram Nath Kovind conferred the 2019 Pravasi Bharatiya Samman award on Fermilab scientist Shekhar Mishra, also known as the Expatriate Indian Honor Award. He received the award in the category called “eminence in one’s field or outstanding work, which has enhanced India’s prestige in the country of residence” for his contribution to science. The award is the highest honor conferred on overseas Indian. 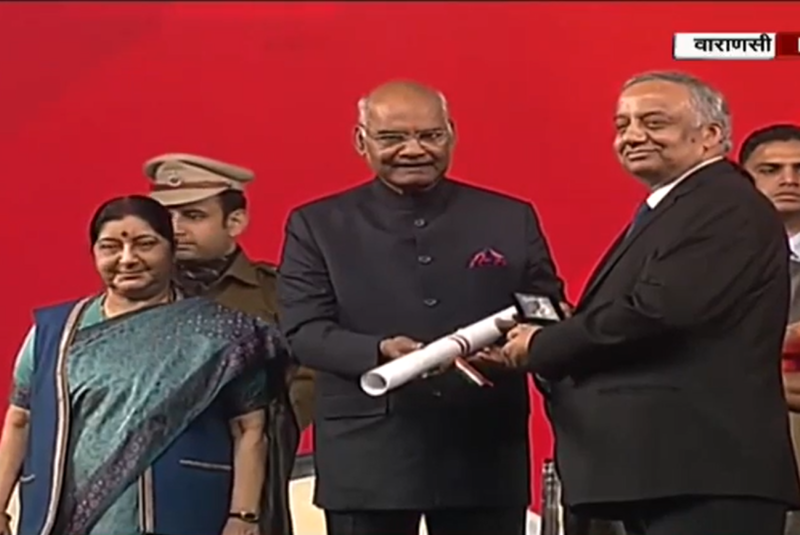 The award committee includes the vice president of India, the minister of external affairs, the principal secretary to the prime minister, home secretary, foreign secretary and five other members nominated by the prime minister. The Samman Award is conferred every other year to no more than 30 people. Fermilab congratulates Mishra on the honor.